Peacock in the Moorland is an international children‘s literature festival held from the 9th of October until the 12th of October 2014 where over 30 icelandic and foreign authors and illustrators take part in the festival program. A large exhibition based on Nordic children‘s books occurs from the 4th of October until the 23rd of November. A seminar on the future of children‘s literature is held at the festival on the 10th of October. 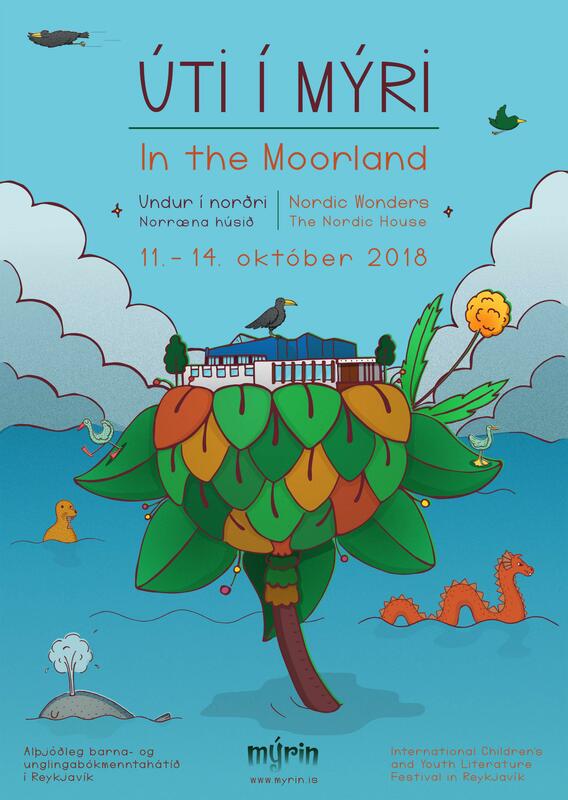 The international children‘s literature festival the Moorland is held for the seventh time in the Nordic house in Reykjavik 9th of October – 12th of October. This year the festival is called Peacock in the Moorland. The festival is the largest festival since the start inviting over 30 authors, illustrators and academics to take part in the program with readings, workshops, lectures and panels. The festival is open for everyone to enjoy and admission is free of charge. Read more about all guests here and see the full program here. On the 4th of October an exhibition based on Nordic children‘s books opens in the Nordic house in Reykjavik. The exhibition is called Peacock in the Moorland – an adventure of words and is an adventurous reading experience where children take part in creating stories in playful arrangements of characters and background from children‘s literature. The exhibition occurs between 4th of October until 23rd of November. It is the largest exhibiton arranged in the Nordic house this year and is produced in collaboration with Reykjavik UNESCO City of Literature and is a part of the program Reykjavik Reads. The exhibition is open for everyone to enjoy and admission is free of charge. The Future of Children‘s Literature is a seminar held in the Nordic house on the 10th of October. Academics will give lectures on children‘s literature now and future prospects. The seminar program will offer lectures and panels and takes place from 10:00-15:00. Registration fee is 20 €, included is coffee, fruit and a light lunch. See full program here.